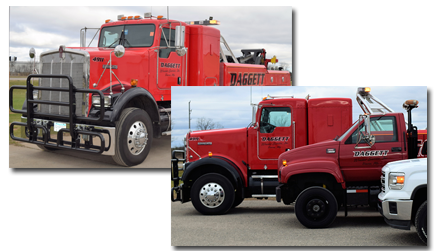 Welcome to Daggett Wrecker Service Inc.
Daggett Wrecking Service offers professional and courteous towing services throughout a wide region around the Frazee and Detroit Lakes, Minnesota area. 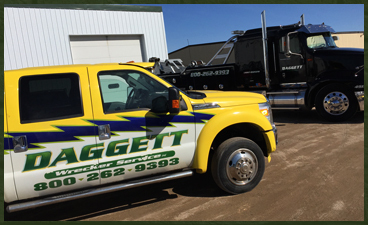 Whether your vehicle has been in an accident or is having mechanical issues, we are the "one stop shop" to get you back on the road. 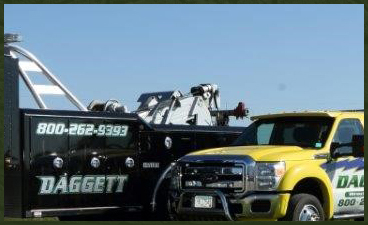 We can help you whether you are looking for standard vehicle towing or big truck towing. 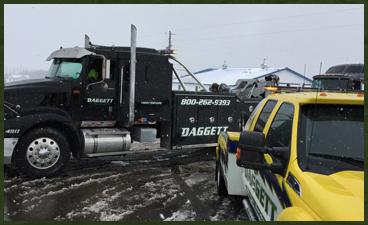 Daggett Wrecking Service offers round the clock (24/7) towing services, so you can feel comfortable calling us for all your towing and vehicle trouble needs.